In its effort to shield consumers from volatile international oil prices and ensure supply security, the Department of Energy (DOE) is pushing its efforts to engage the country's downstream oil industry within this month. Earlier, DOE has announced that it has directed its attached agency, PNOC-EC (Philippine National Oil Company-Exploration Corporation), to engage in the selling of petroleum products sourced from non-OPEC members to independent petroleum dealers and to vulnerable sectors, such as public utility transport groups. Cusi, who is the ex-officio Chairman of the PNOC-EC, said the move was meant to enhance competition among existing oil industry players and stabilize domestic oil prices. “We are looking at other countries. Russia is just an option. PNOC-EC expects to receive the first shipment by end of June,” Cusi said. 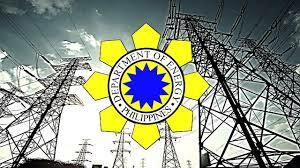 According to Cusi, PNOC-EC is looking at the different areas for the reserve’s storage and among the areas being considered are Subic, Phividec Complex and Quezon. At present, oil companies are required to maintain a Minimum lnventory Requirement (MlR) of in-country stocks equivalent to 30 days of crude and products for refiners, 15 days of products for importers/bulk suppliers and seven days of liquefied petroleum gas (LPG) stocks for LPG players. Meanwhile, aside from ensuring the country’s supply, the DOE will also come out with a policy on unbundling petroleum product prices. “We need to unbundle the prices. It has to happen,” the Energy Chief stressed, adding that this will provide the consumers more information about the petroleum products that they buy. The DOE is currently conducting consultations with the stakeholders on the mechanism for unbundling. International geopolitical developments, which include US sanctions on Iran, the drop in OPEC production levels and the political changes unfolding in Venezuela have resulted in the recent uptrend in oil prices for the past weeks. With the volatility of oil prices, the DOE is encouraging consumers to be smart and judicious in the use of petroleum products, such as driving efficiently and managing trips properly to save on fuel costs, among others.